Jay Freeman, also-known-as saurik, the creator of Cydia, has confirmed by reply to a post that an updated version of Cydia Eraser is on his “todo list.” This news will be welcome by unc0ver jailbreak users who are looking for a quick way to remove the jailbreak and revert back to stock. First of all, it’s excellent to see that Freeman is starting to be a lot more vocal recently about his tools and his desire to update them to offer maximum compatibility with @pwn20wnd’s unc0ver jailbreak. It seems that saurik is happy with this particular jailbreak solution and how it’s been put together, which, in turn, means that he is happy to put in the necessary work to update his tools and packages. This is something that we’ve already seen recently with updates to Cydia Impactor. Now, in response to a question relating to Cydia Eraser, the “godfather of jailbreaking” has confirmed that an iOS 11 Cydia Eraser update is on his radar and that he actually has it on his to-do list to tackle. At the time of writing, it seems that Freeman doesn’t have a full list of the things that are necessary in order to get Cydia Eraser up and running on iOS 11 but is looking to find time to invest in putting in this work to make it compatible. One potential hurdle highlighted by Freeman is the fact that Apple can sometimes randomly change file formats of URLs of IPSW files which are currently automatically “scavenged” by Freeman’s servers. Once the time is invested in this tool we’re sure that it won’t take a ton of work on Freeman’s side to get Cydia Eraser functional for devices running iOS 11 and which have been jailbroken using unc0ver. 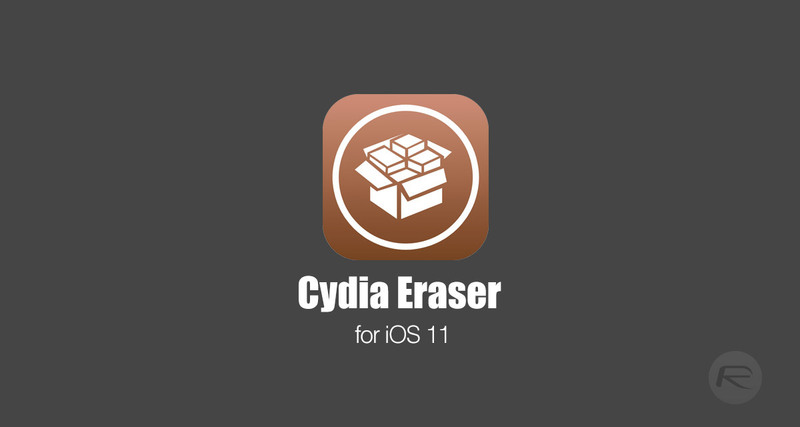 For those that may not know, Cydia Eraser is a very handy tool used by jailbreakers to remove any trace of Cydia, revert the operating system back to a stock installation of Apple’s platform but while still maintaining the current version of iOS. And that last bit is the important part due to the fact that it removes the jailbreak but still leaves the device able to be jailbroken. As this progresses, or if more information becomes available on Cydia Eraser for iOS 11, we will be sure to let you know. Still patiently waiting for Sauriks IOS 11 jailbreak …should release any moment now ? ?